My home shop makes photographic images on canvas. First, I am a pro photographer, so the images are mine or the client\'s as delivered. Second, I am a printer - finisher. 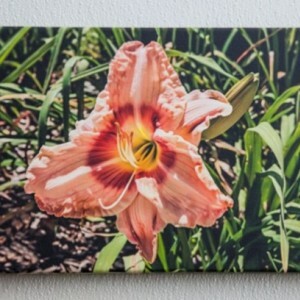 I photoshop and print canvas in my shop with a 12 color 24 inch pigment printer. Third, I am a framer. I build gallery wraps and frames in my shop. All my products are custom handmade using skills I learned over many years.